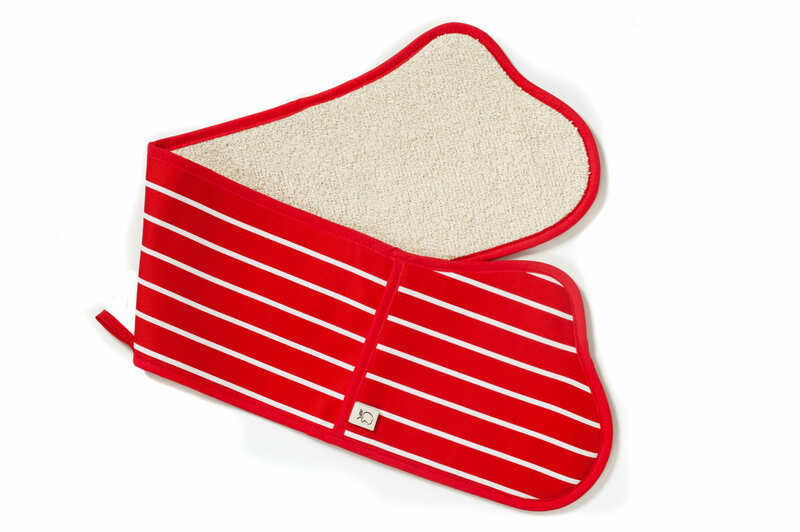 The classic red butcher stripe oven glove from British Textile Company is a kitchen staple. The double glove design protects both your hands while handling hot items in the kitchen. The oven glove is cotton on the outside with an insulated toweling underside for comfort and protection against heat.